"At 2-1 up for the series, England are [1.36] to be the Series Winner but that has to be a bet worth laying." The biggest disappointment for India after fighting their way back into this Test series at Trent Bridge is they have to wait eight days before playing again. In the modern age when players normally complain that Tests are squeezed into far too short a space of time, Virat Kohli and his team could do with the Fourth Test at the Ageas Bowl beginning tomorrow rather than next Thursday. It took them just 17 balls to wrap up victory on Wednesday when Ravi Ashwin dismissed Jimmy Anderson and they must wish they could stay in that sort of a hurry. The tourists have shifted momentum dramatically in their favour and would have wanted to keep piling on the pressure as they seek a historic series win, attempting to become only the second side ever to triumph from 2-0 down. The only other side to achieve it was Australia complete with a certain Don Bradman during the 1936-37 Ashes. 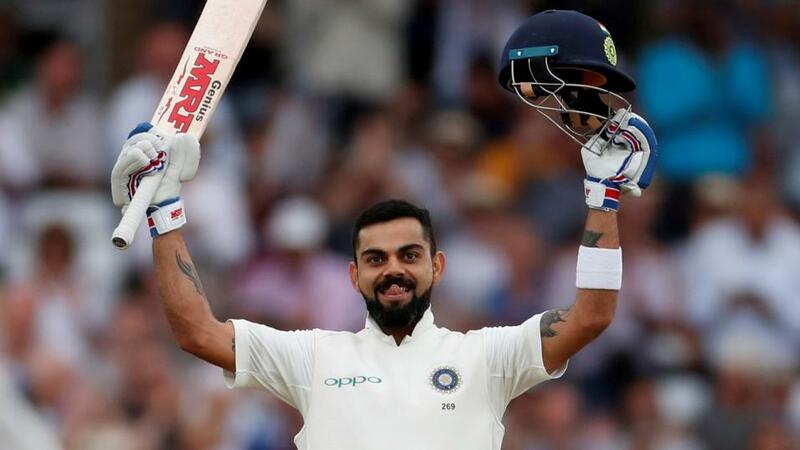 But with this England side in disarray after four miserable days at Trent Bridge, India have the chance to prove they deserve their number one world ranking in the five-day format and to show just how far they have come under Kohli's captaincy. At 2-1 up for the series, England are [1.36] to be the Series Winner but that has to be a bet worth laying. I said even after the first Test that India were far closer to England than many suggested and their performance at Trent Bridge proved they are not a one-man team. They are fitter, have held on to their slip catches better, and have kept up the intensity and pace of their bowling attack throughout long days. England, meanwhile, still have the same problems through their batting line-up that have haunted them for the last few years and could be even more fragile. Alastair Cook may well be missing because his wife Alice is due to give birth to their third child, but in any case he's on a dismal run of form averaging just 19.21 this year. Surrey captain Rory Burns looks like being the man to step up in what would be a tough debut. Is the stress affecting Root's batting? His latest partner Keaton Jennings has begun to look like a wicket waiting to happen, continually getting out after promising starts. Further down the order Ollie Pope clearly has potential but at 20 it's a tough ask for him to go in at four, when he's never batted that high for Surrey never mind in a Test match. Jonny Bairstow, who at least has made some runs this series, is likely to be missing because of his broken thumb to create another enforced change. James Vince has been talked about as a replacement - not someone to put the fear into India. And then there's the skipper who hasn't made a Test century in a year and has four straight scores in the teens in this series as a sign that the pressure of leadership is telling on him. India in contrast have found support for Kohli with both Ajinkya Rahane and Cheteshwar Pajara making proper scores at Trent Bridge. With their bowling attack full of confidence they can arrive in Southampton feeling the series has turned their way. This is their big chance to make a statement on foreign soil and the upbeat mood music coming from Kohli's leadership suggests they are ready to take it.